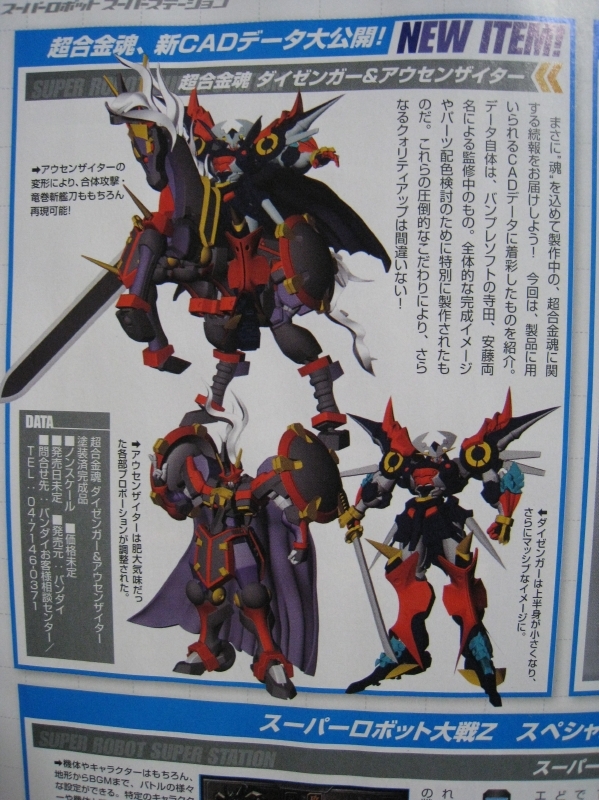 Scans of the March issue of Hobby Japan have revealed color photos of the protoype Soul of Chogokin Daizengar and Aussenseiter figures from Super Robot Wars: Original Generations. 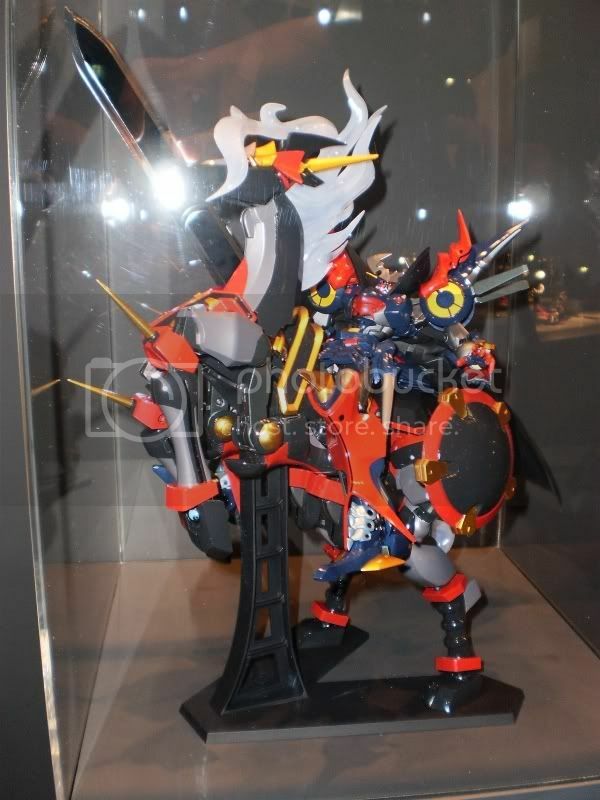 Aussenseiter will be fully transformable into “pferd” mode, where he becomes a horse that Daizengar rides into battle to perform brutal attacks with his mighty Zankantou blade. 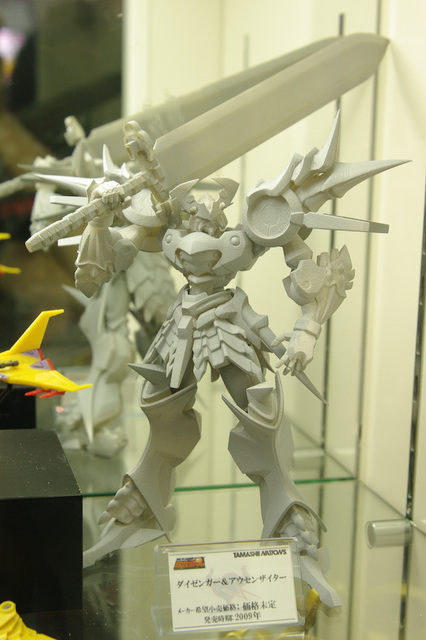 There are no updates at this time on a release date or price for this SoC set. I may be alone in my excitement for this pair, but these two have been my most anticipated release for quite some time, so it hurts every time Bandai pushes them back. 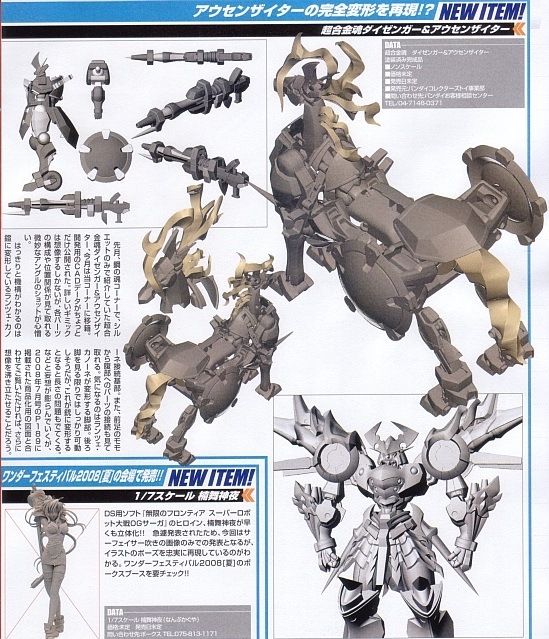 The latest scans of the March Hobby Japan has a color mockup of the molds though, and while Aussenseiter still looks a bit stiff, I'm super stoked for more info on these guys. New pic! 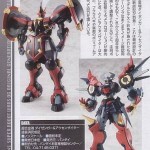 Also, pics of the upcoming SOC Raideen repaint! 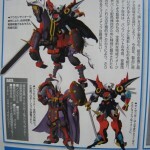 Aussenseiter still looks a bit stiff, but Daizengar looks phenomenal. The chrome on his Zankantou looks almost like real brushed metal. I'm excited for this too. Look how BEASTLY it looks! It may be a contender for toy of the year. I wish I knew more background info. Are you guys going to buy this? Who, me? You'd better freaking believe it. Nothing super new, just better looks at the magazine closeups. When's the actual release date of these two item? will they be packaged together or sold separately? They're going to be sold together as a set ... no word as of yet on a release date. It looks like the DGG Combo pack will be the most expensive SOC ever at 29,400 yen. This is my sad face. 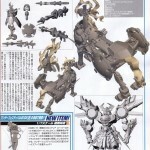 BBTS already has a preorder for the set up. Looking at the price they've set (and in the light of the recent news of the Toynami/Bandai distribution partnership), it looks like this set will be one of those that Toynami brings over. This is a little ironic, considering that Super Robot Wars is a franchise that's been eternally locked out of US distribution because of licensing issues. Low resolution stock photos. Finally get to see Aussenseiter's Pferd mode. I can't imagine it wont involve craptons of parts swapping, sadly. Saying things like "I want to see those two robots riding each other" sounds so wrong. And yet it's so true. So which one is the correct pronounciation? Out of curiosity, what exactly is a "Pferd" meant to be anyway? The way I pronounce them goes "Die-Zen-Gar" and "Aw-sen-sight-are". Right or not, I cannot say. "Pferd" is just German for "Horse". 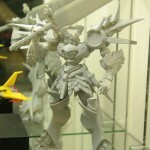 The SRW designers love those german names, like "Aussenseiter" which means "Outsider". Obviously the worries that Trombe would be a "pony" are unfounded. I, for one, and excited. 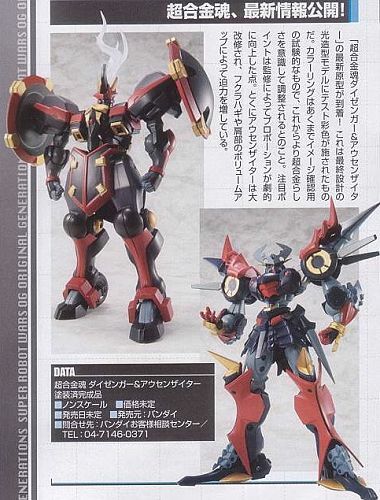 Full Thread: SOC Daizengar/Aussenseiter combo in color! All times are GMT -4. The time now is 6:36 PM.